What happens when a family comes together for Christmas but upon arrival their vacation takes a deadly turn? 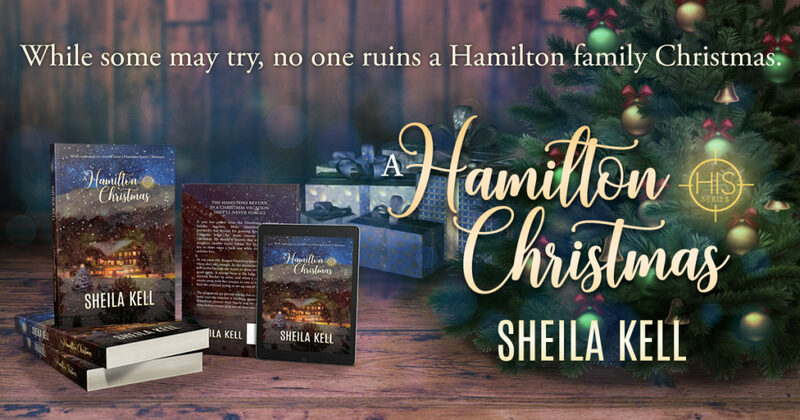 In Sheila Kell’s novel of intrigue and the love of one family, three generations of Hamiltons work to solve a mystery that impacts one of their own. 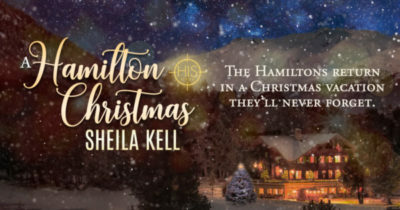 While writing the first book in the HIS (pronounced H-I-S) series—His Desire—the idea of a family Christmas began to bloom. As I became more excited about it, I realized since it wouldn’t have a new love interest, I had to set it aside. It also didn’t fit as a prequel because, once again, it didn’t have a new love interest. So, I held it—until now. HIS Series Book 9 has been written—without that new love interest—and will be released on November 13, 2018. It hope you will take advantage of the 99cents special preorder pricing. This novel steps out of the romantic suspense mold of the series and revolves around mystery/suspense and family love. It’s told from Blake and Reagan’s points of view which provide entertaining scenes. “Can this get any more fucked up?” Brad asked in full honesty. Take heart. The family is not forgotten as they will make appearances in the upcoming spin-off series—Agents of HIS.